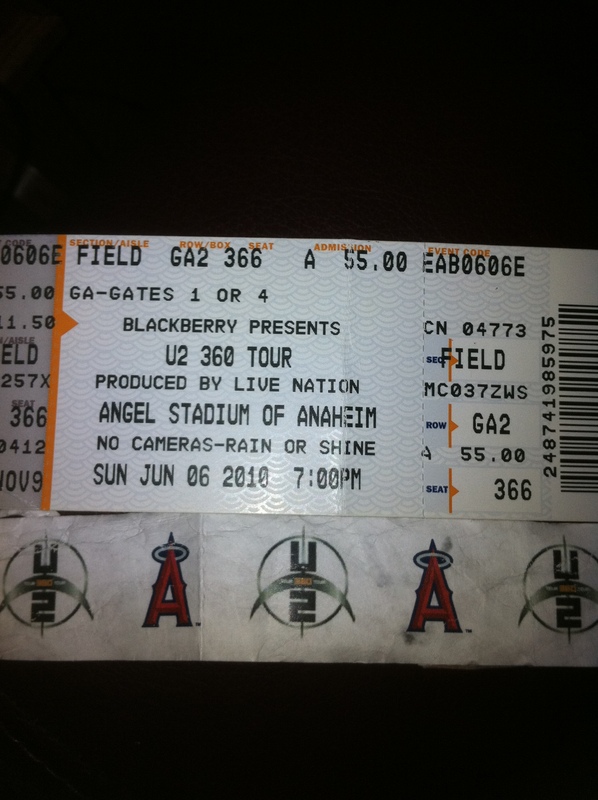 The U2 360 show in Anaheim had the best energy of the first five shows I had seen in the US on that leg. The audience was really into it, but it was the same set list as the previous US shows I had seen. I spent the day in my hotel room conserving my energy – as I did every show day. I left for Angels Stadium at 2pm. I got a little lost walking to the stadium – I went the wrong way twice. I got to the stadium shortly after 2:30, even though the stadium is just a few blocks from my hotel. I was tired and sweaty, as June Gloom brought the humidity. I think I got a little overheated and dehydrated because I had a terrible migraine the rest of the day and throughout the show. Arriving at the stadium, I noticed 2 GA lines on opposite sides of the stadium. 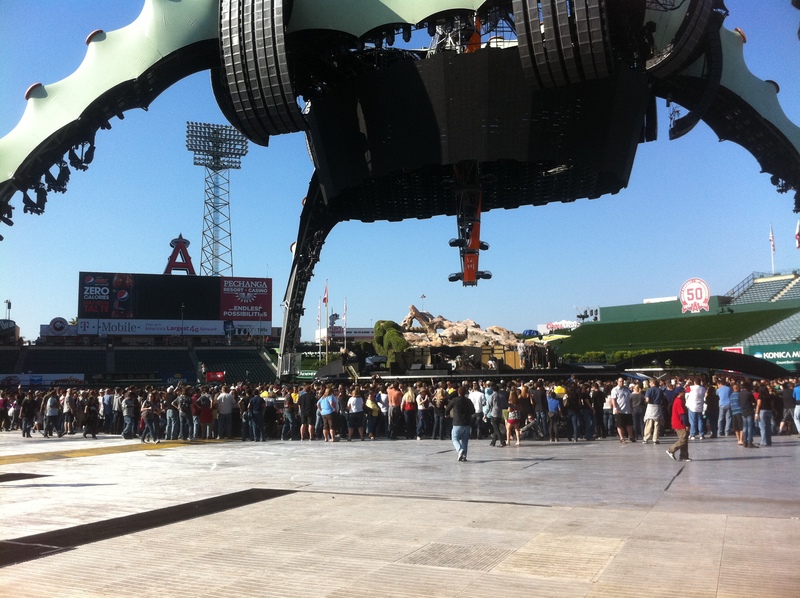 I walked around to where I thought the band would drive in and found most of my friends already there waiting. I hung out with Chuck and Michelle, whom I had met in Seattle. I also met Tesh and Danielle. We were in the wrong place, so we moved around to the right place about a half hour later. U2 arrived around 4pm, not in their usual black towncars, but all in one white van. They had flown in on helicopters and landed across the way and then drove over to the stadium. 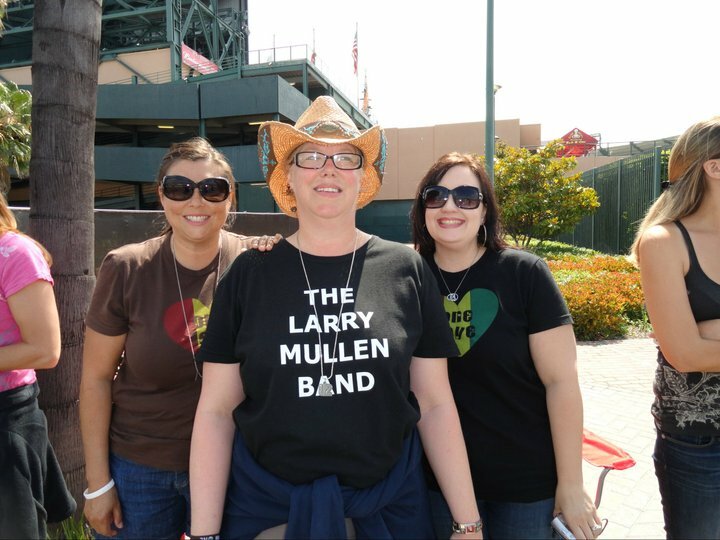 No one stopped, but Larry did smile as he drove by – I like to think it was because he saw my ‘Larry Mullen Band’ shirt. 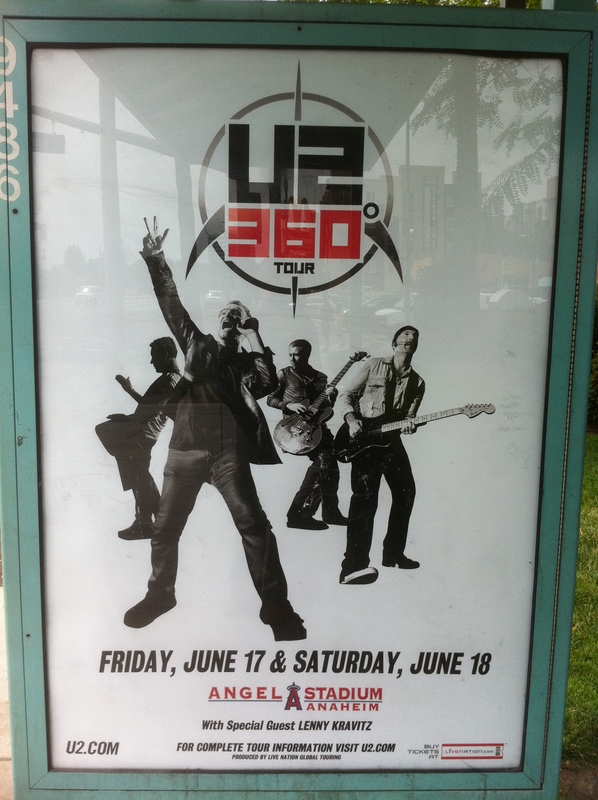 This was the first time Bono has not stopped in the US this leg. We got in the GA line and listened to the soundcheck, which included both The Fly and Ultra Violet, but neither were played in the show. We entered the stadium just after 5pm, got our stamps to re-enter the inner circle and then went up to the stands to sit and relax in the shade. 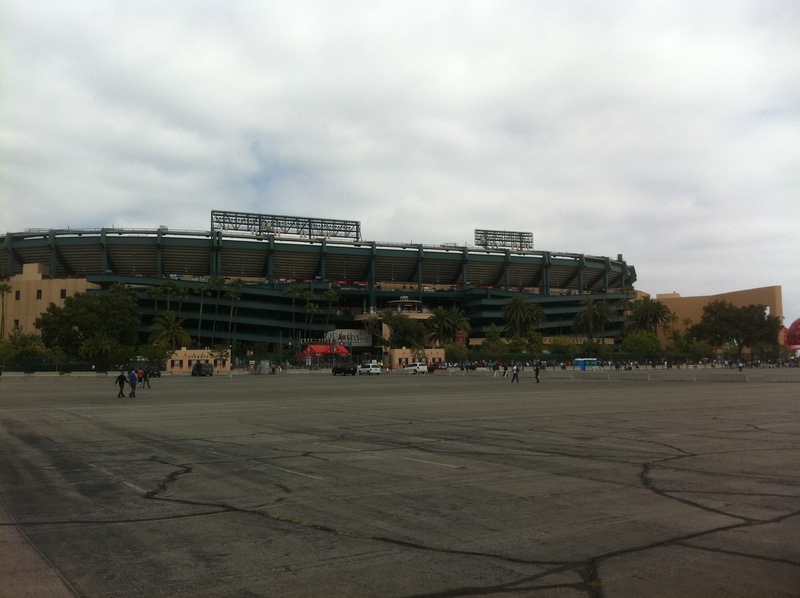 Anaheim Stadium is a beautiful baseball park – the prettiest of all the stadiums I’ve seen. Lenny Kravitz and his band arrived to the stage in golf carts. They played from 7:30 to about 8:15 and the same set list as the previous four shows I had seen. After Lenny’s performance, I went back to wait for U2 to walk in. The venue security tried to get us to leave, but Rocco, U2’s stage manager, told them we were allowed to stay there to wait for the band. 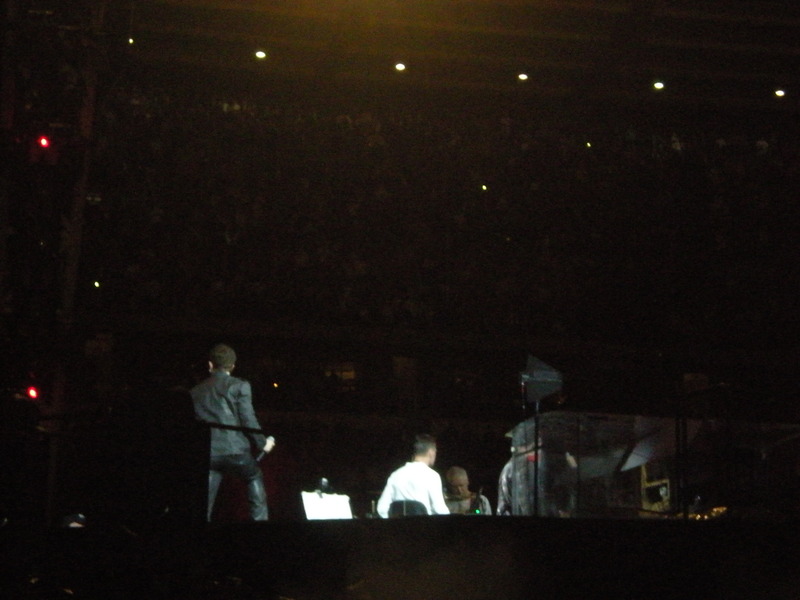 U2 walked to the stage just after 9pm and Larry once again smiled and waved at me as he entered. I completely misunderstood the band introductions at the time. It wasn’t until I listened to the bootleg of the show that I understood what Bono had meant. I thought Bono was talking about Larry, but he was talking about Paul McGuinness. 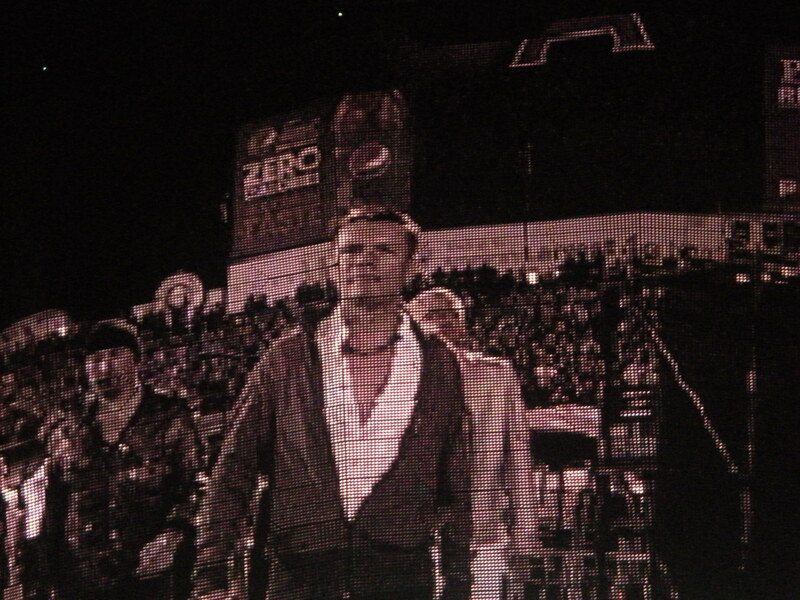 Bono said, “Tonight might be the night to toast a man who’s meant so much to this band. A man to whom we owe so much. A man without whom I don’t think we would be here tonight. Without this man, things might have turned out a little differently. 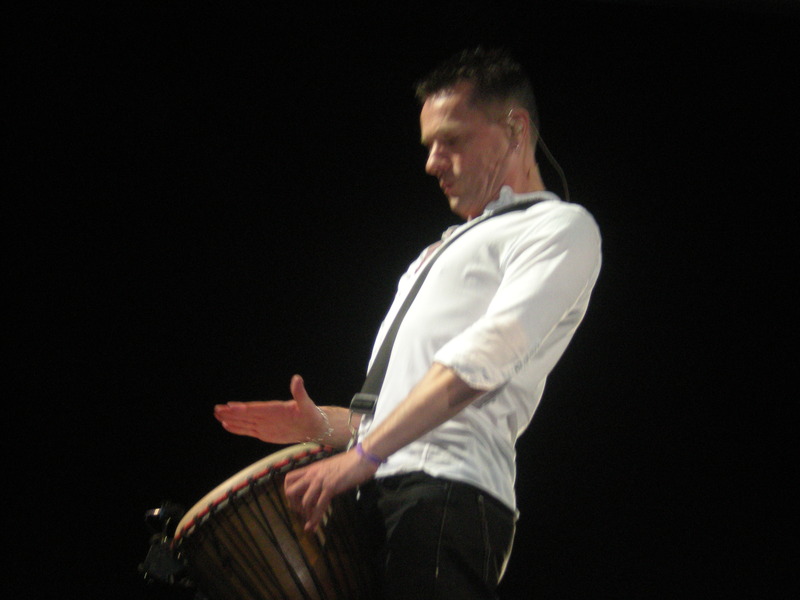 Larry Mullen Jr (long pause) would not be a drummer in U2. 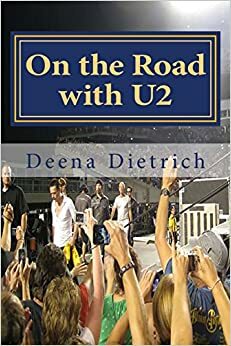 He’d be a highway patrolman, but in Dublin.” I was screaming so loudly that I didn’t hear the rest of the band introductions. 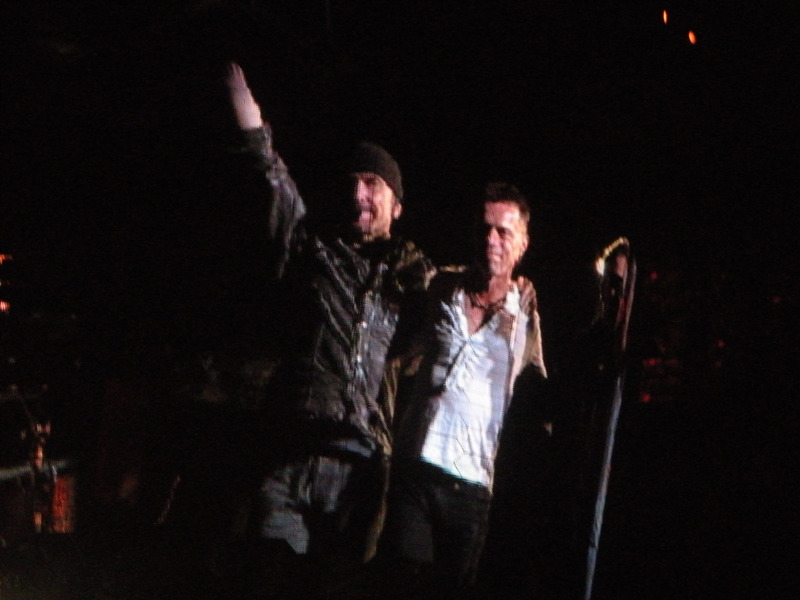 After saying what he, Edge and Adam would be if not in U2, he toasted Paul whose 60th birthday was the day before. And for the first time ever, Paul McGuinness was brought on stage for and we sang Happy Birthday to him. Please watch the video of the band introductions. Bono dedicated Pride to Maria Shriver, who was in the audience. Before Vertigo, Bono said, “Big love across the border – Mexico.” Then went on to say, “Viva Mexico!” During I’ll Go Crazy if I Don’t Go Crazy Tonight, Bono said, “How crazy can it get in Anaheim?” After Walk On, Bono again said, “End of the June Gloom Anaheim.” During With or Without You, I went back to wait for U2 to leave. 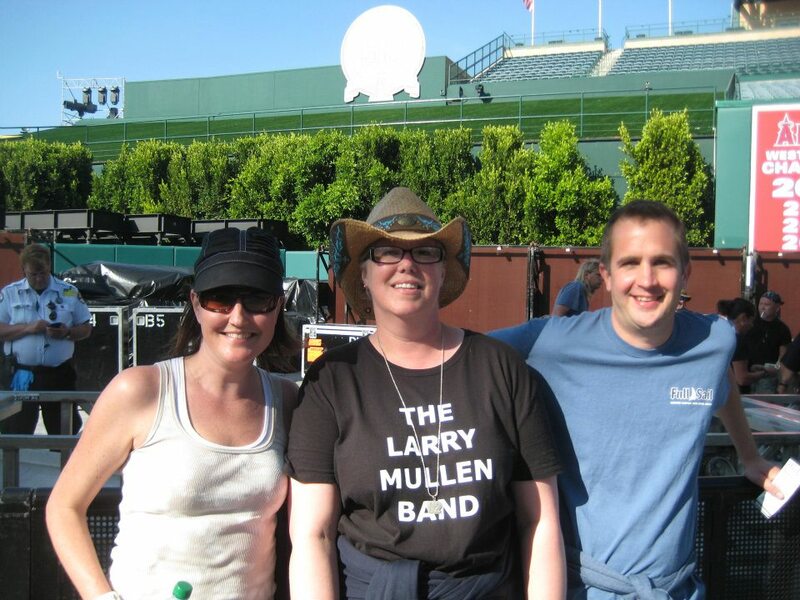 I stood in the same place I did in Seattle (near the tunnel), hoping that Larry would once again grace me with a handshake. Before Moment of Surrender, Bono said, “We’ve never had a bad time in this neighborhood.” Larry didn’t come over to shake my hand, but he did smile and wave at me. So a smile and wave from Larry on the way into the show and on the way out of the show isn’t too shabby. The set list for U2 360 Anaheim 1 was as follows: Even Better Than The Real Thing, I Will Follow, Get On Your Boots, Magnificent, The Great Curve / Mysterious Ways, Elevation, Until the End of the World, Happy Birthday, All I Want Is You, Stay / In the Wee Small Hours of the Morning, Beautiful Day / Space Oddity, Pride, Miss Sarajevo, Zooropa, City of Blinding Lights, Vertigo / Are You Gonna Go My Way, I’ll Go Crazy / Discotheque / Life During Wartime / Psycho Killer, Sunday Bloody Sunday, Scarlet, Walk On / You’ll Never Walk Alone, One / United We Stand, Will You Love Me Tomorrow / Where the Streets Have No Name, Hold Me Thrill Me Kiss Me Kill Me, With or Without You, Moment of Surrender.